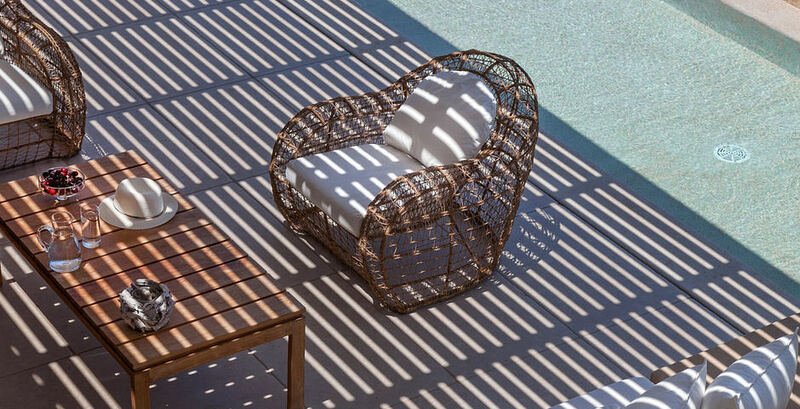 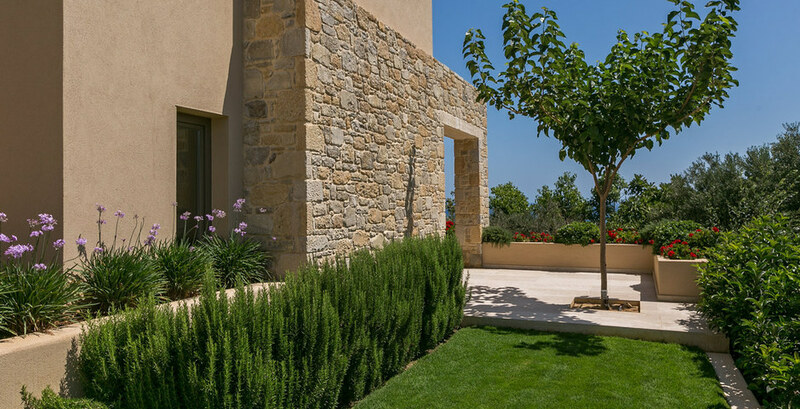 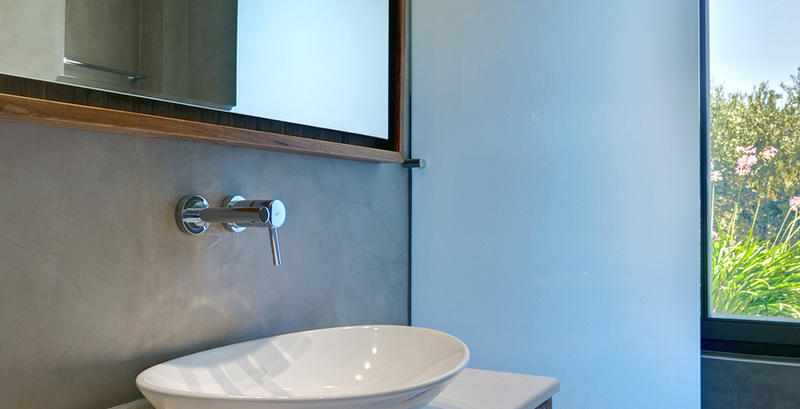 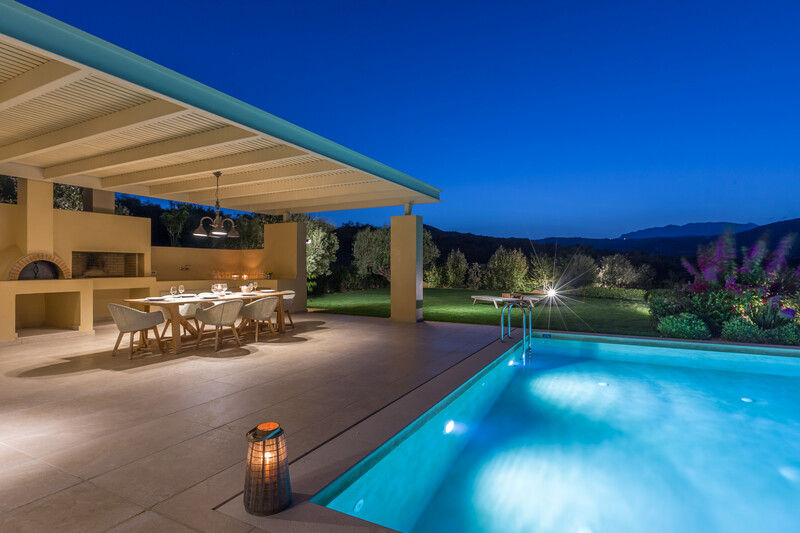 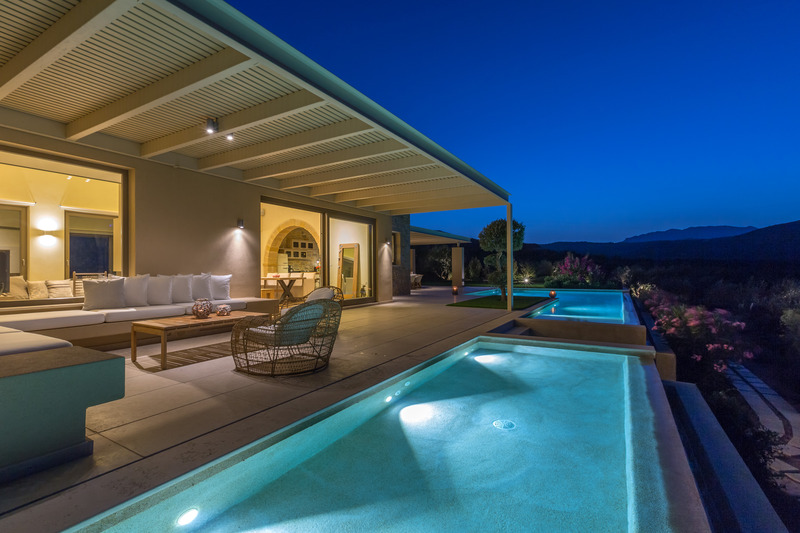 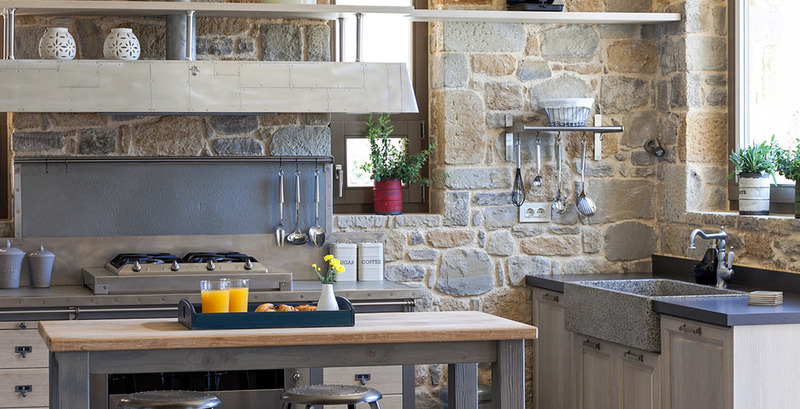 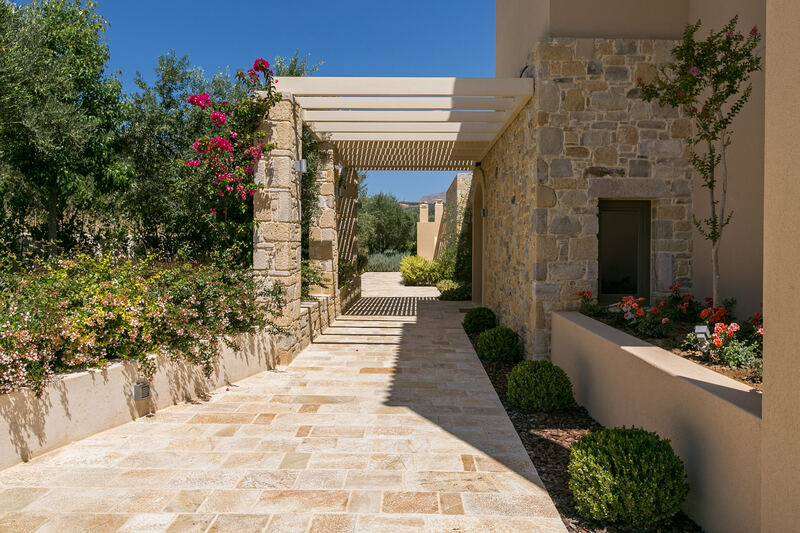 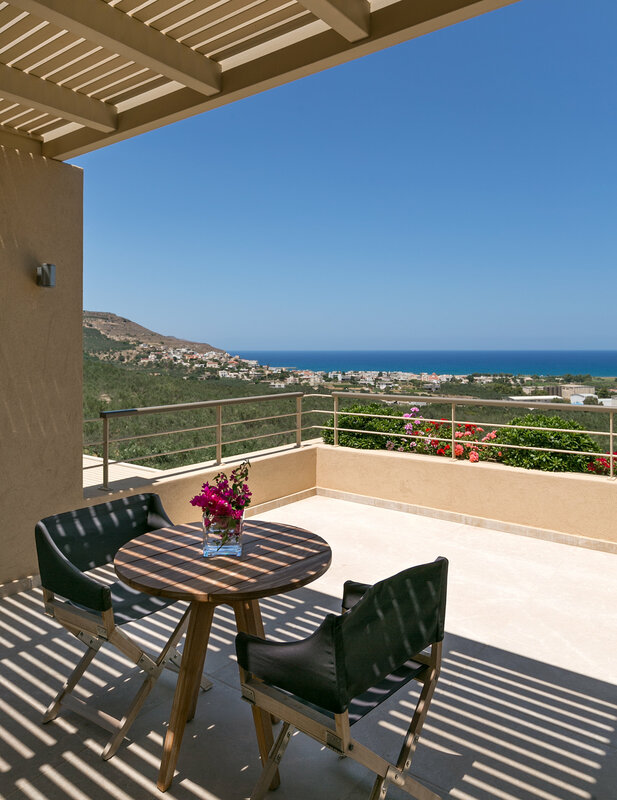 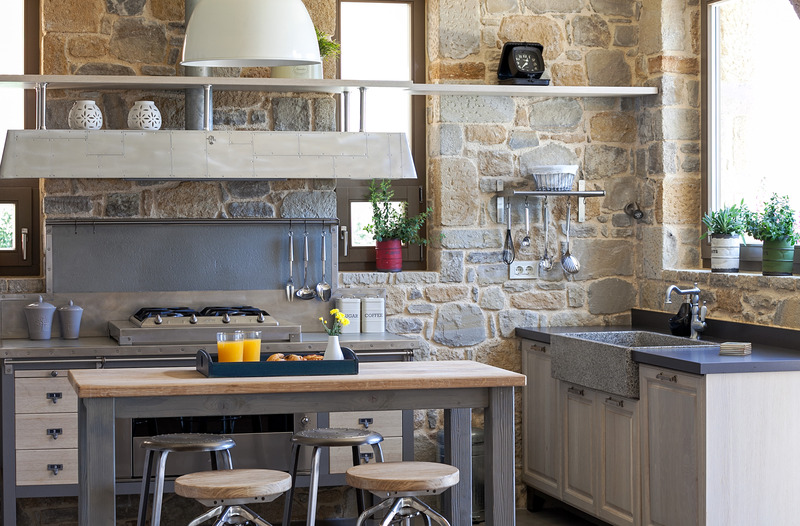 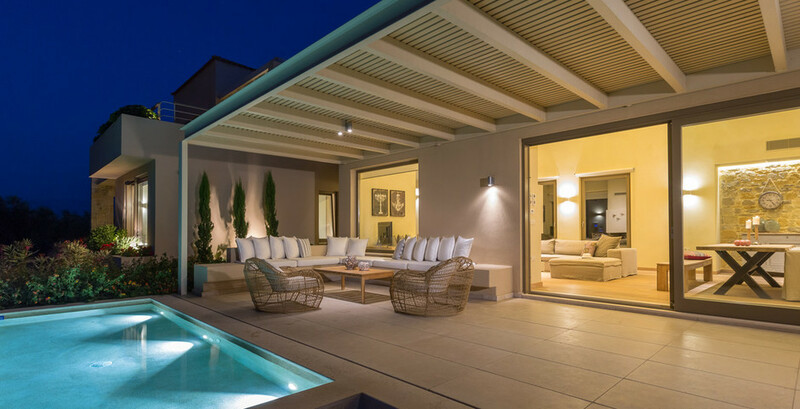 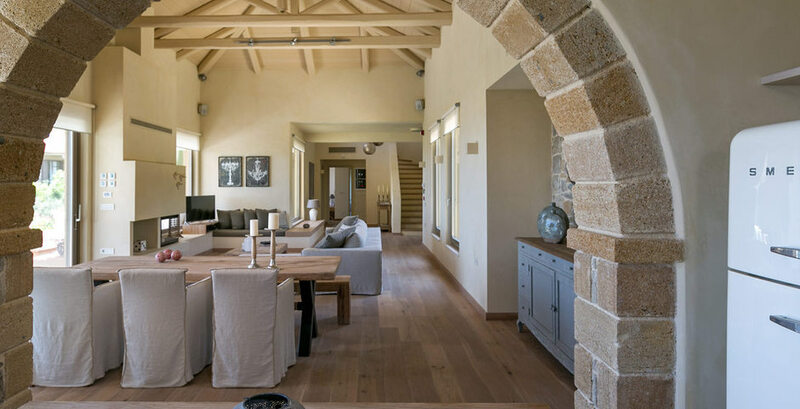 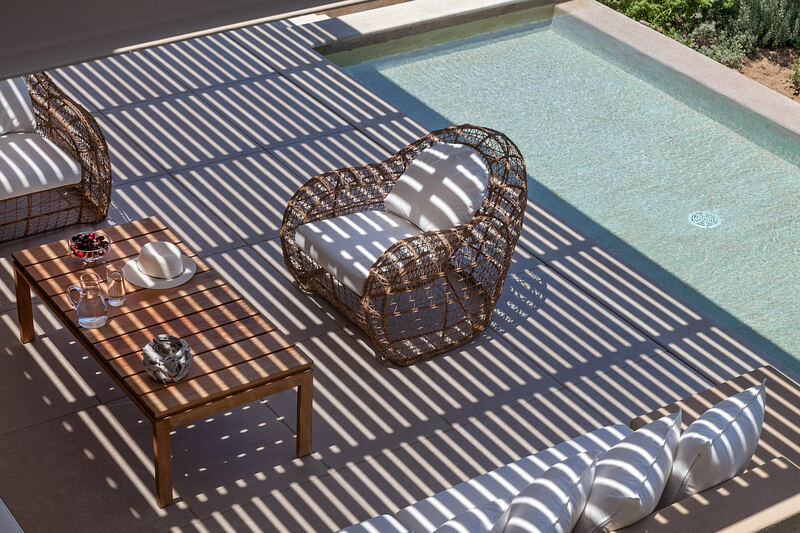 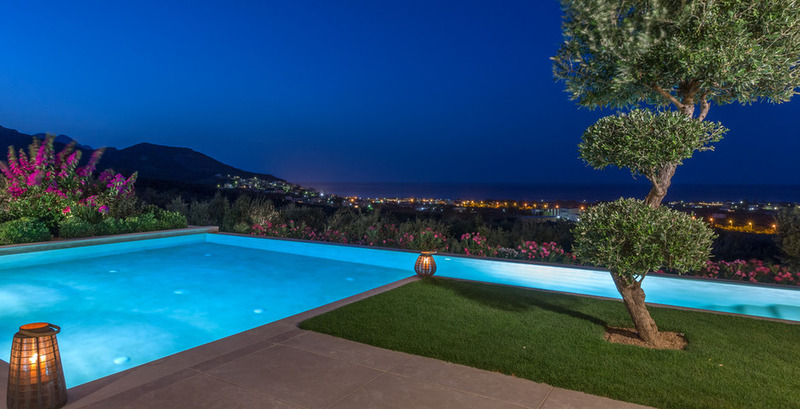 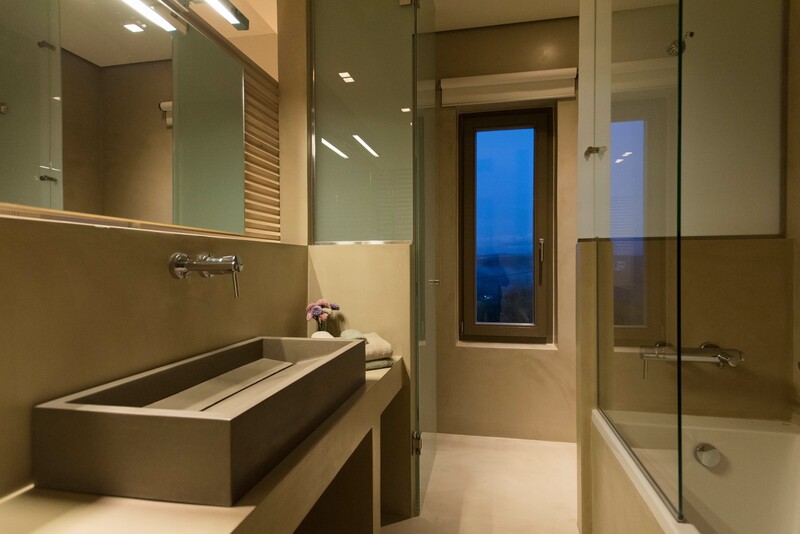 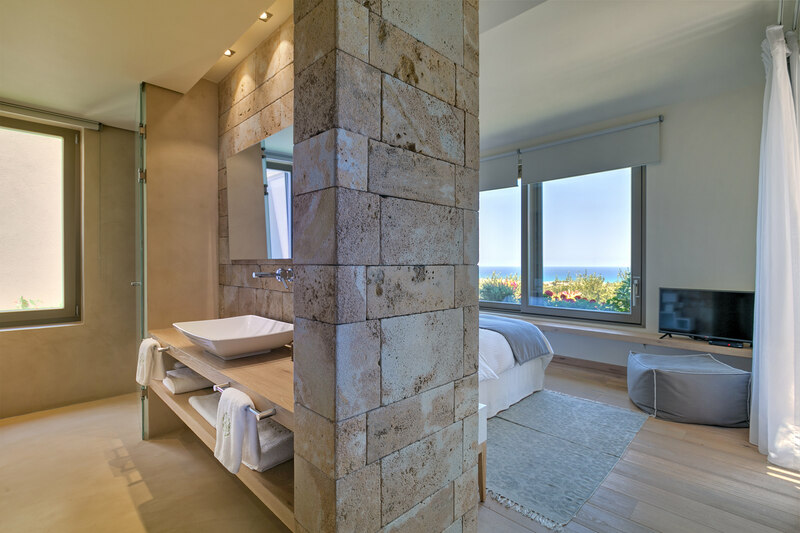 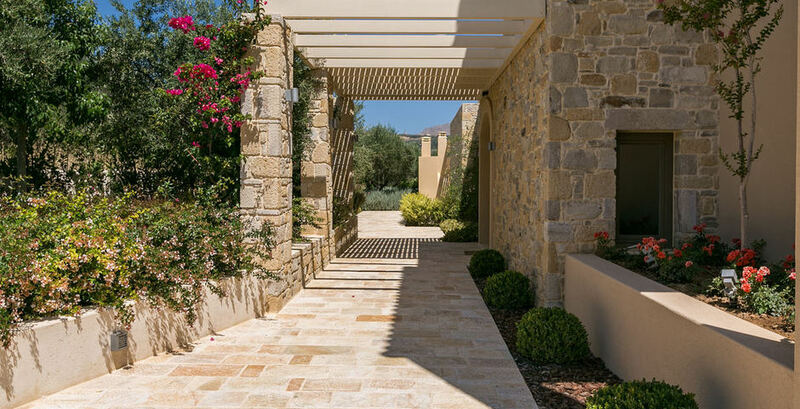 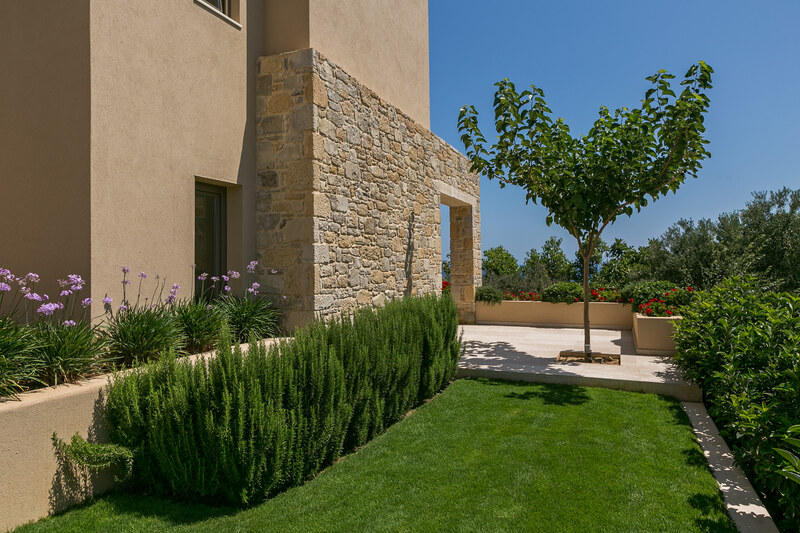 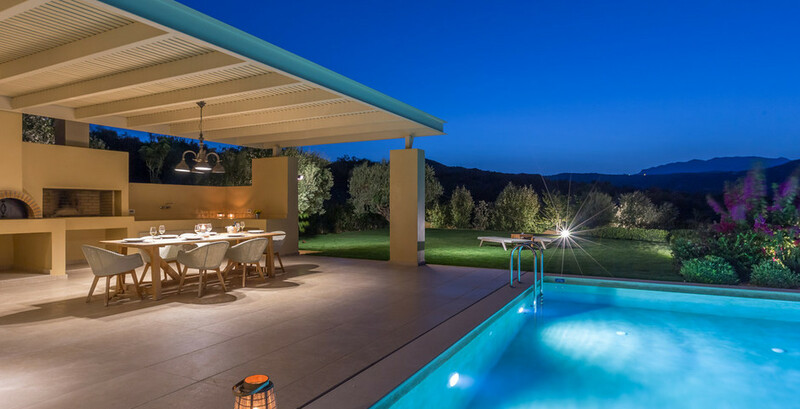 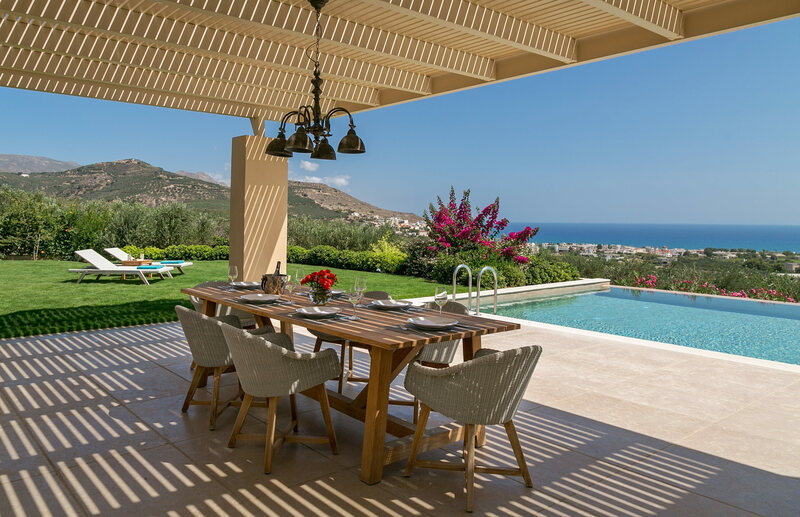 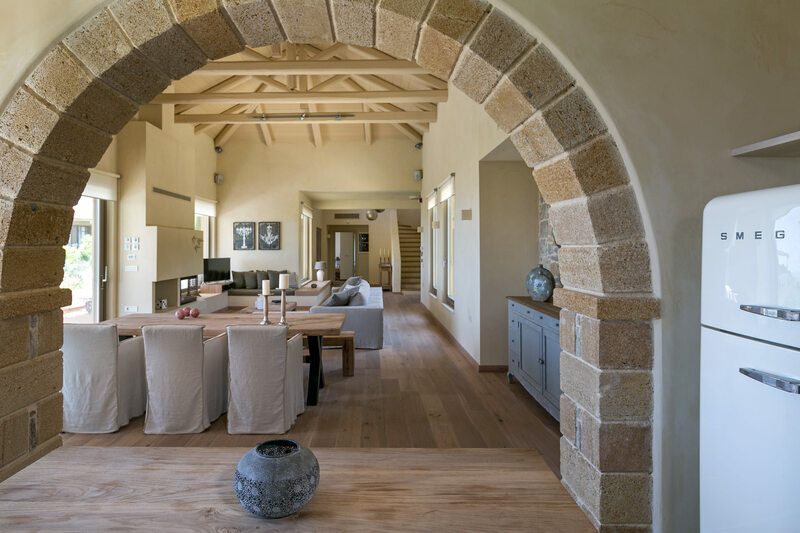 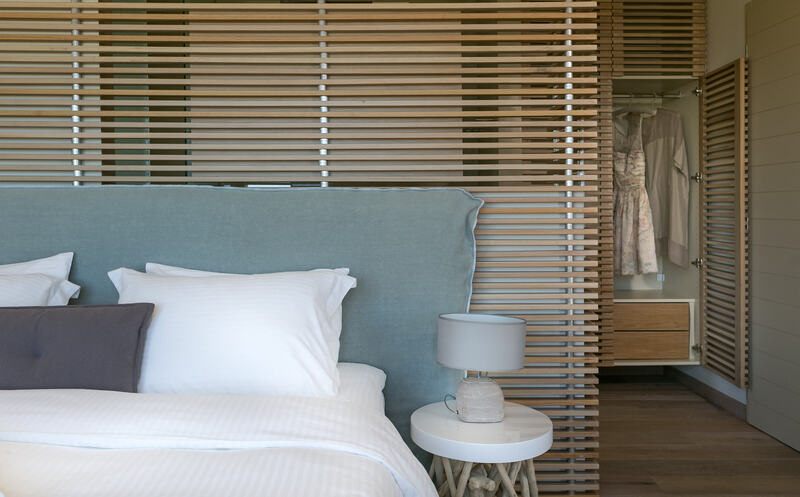 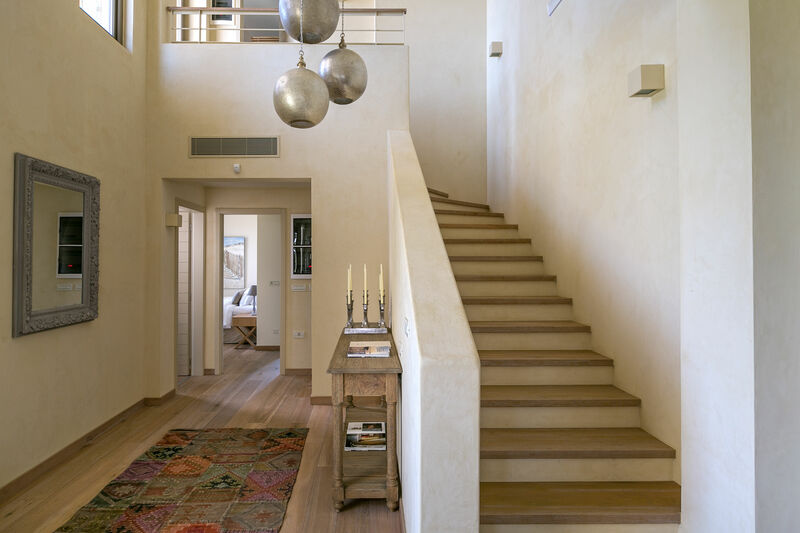 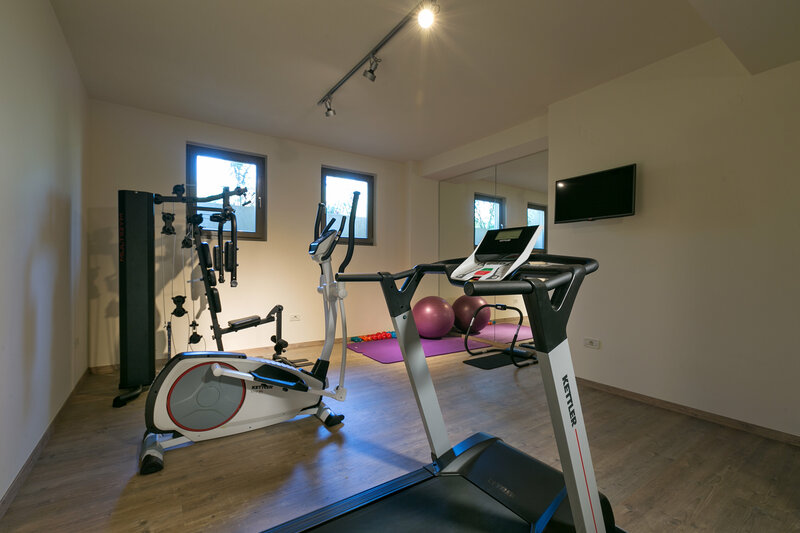 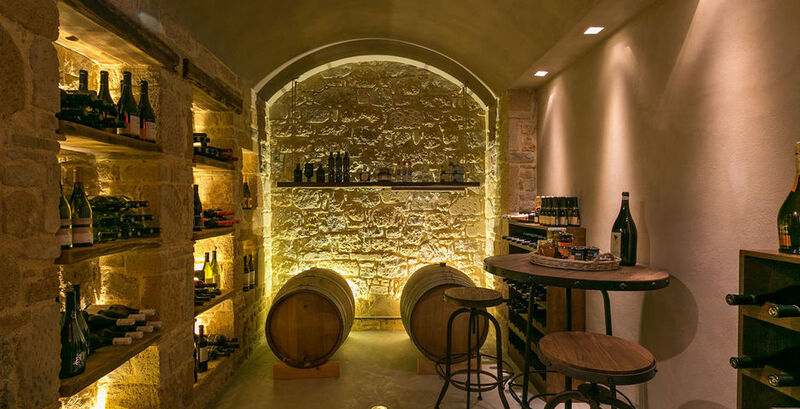 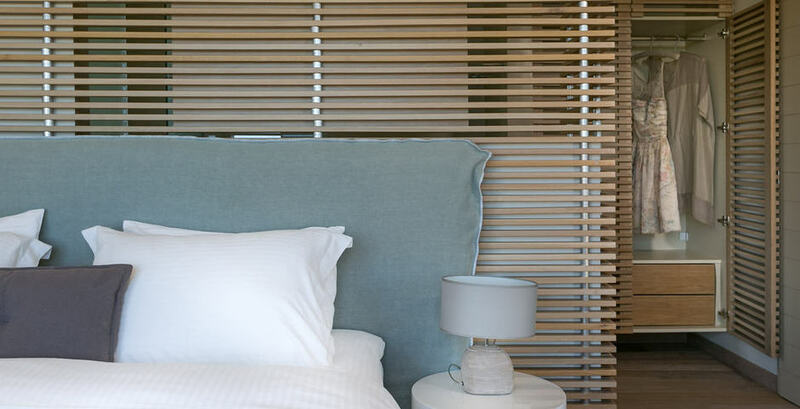 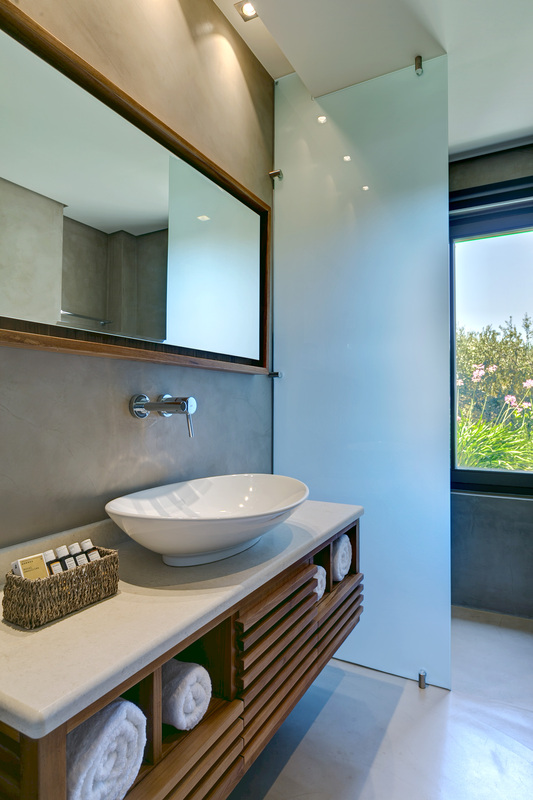 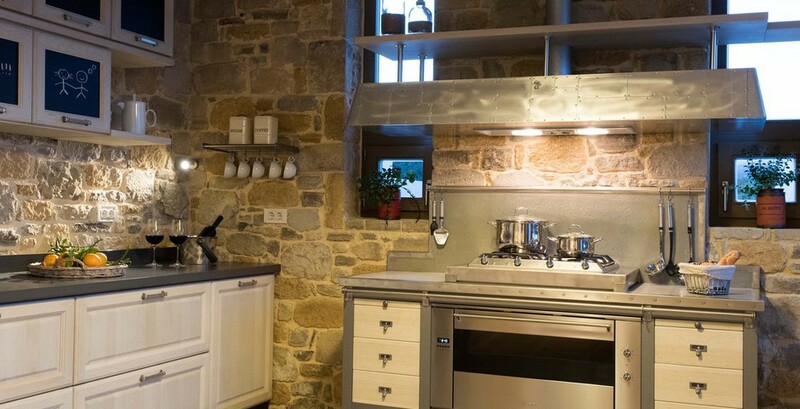 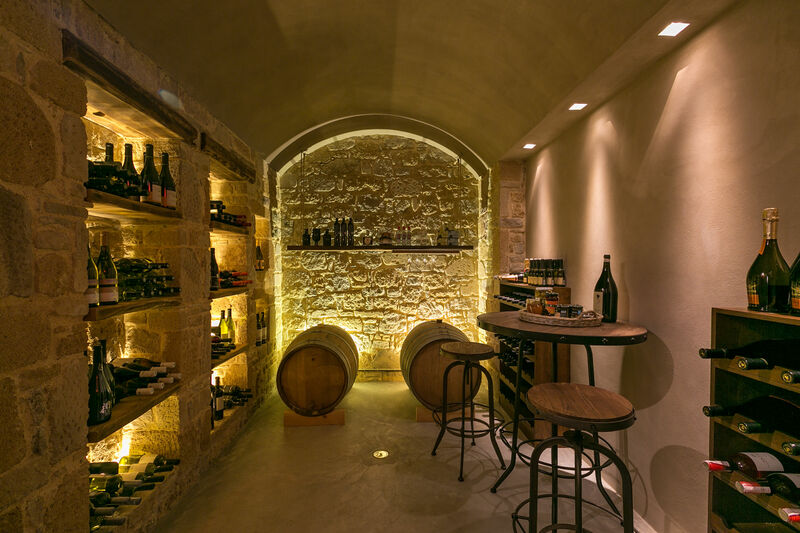 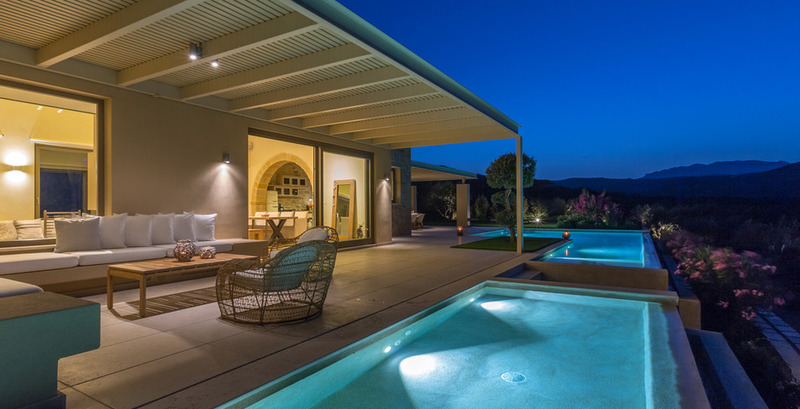 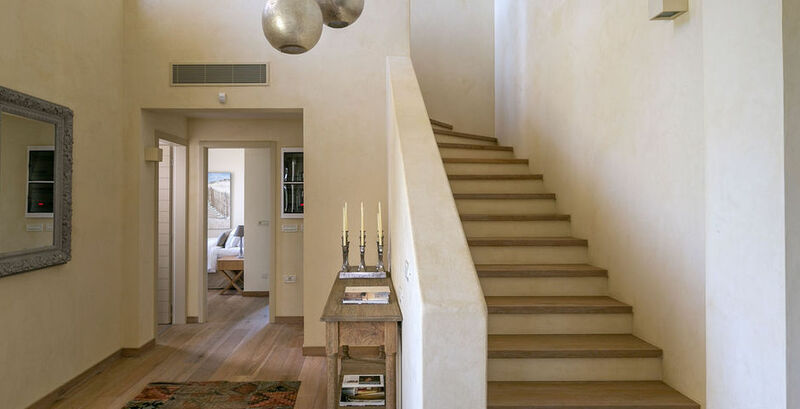 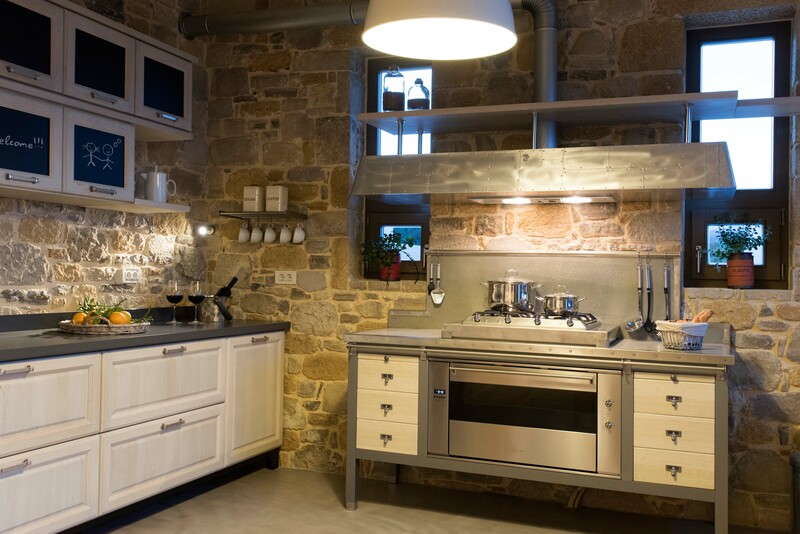 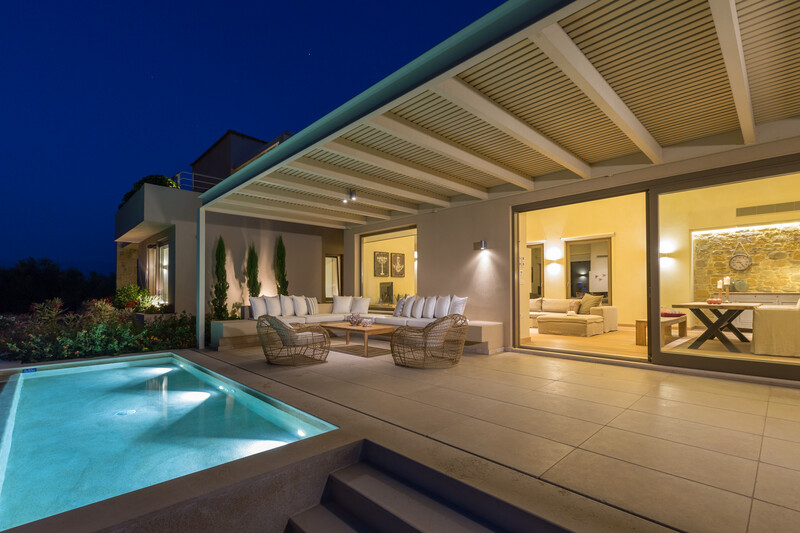 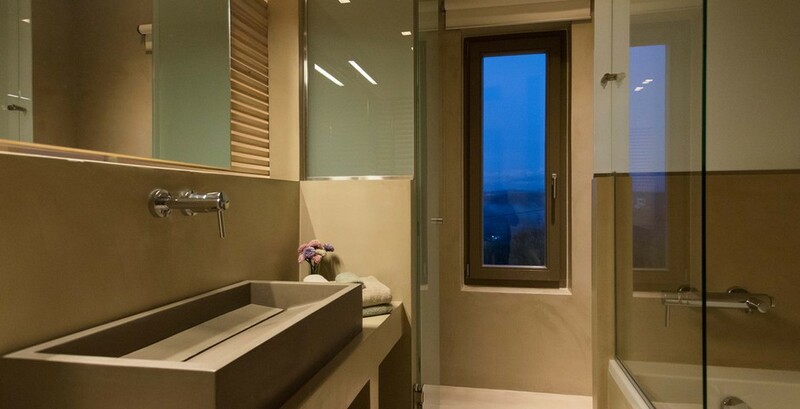 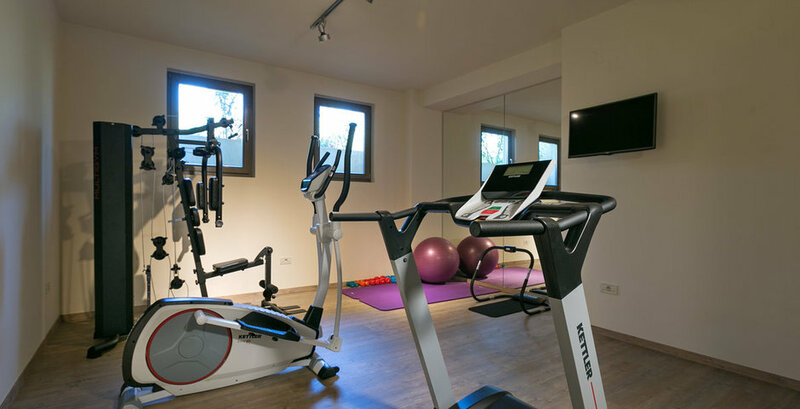 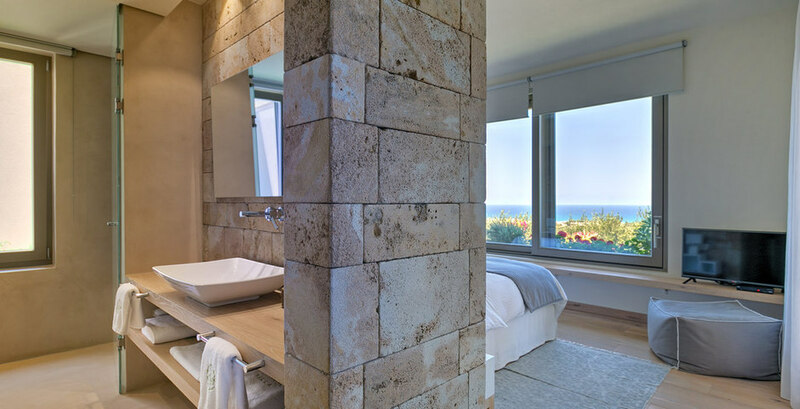 Unlike most Cretan holiday villas, the property was built according to the principles of bioclimatic architecture in both design and functionality and as a result features truly high standards and an attention to detail that is rarely evident in other vacation rentals. 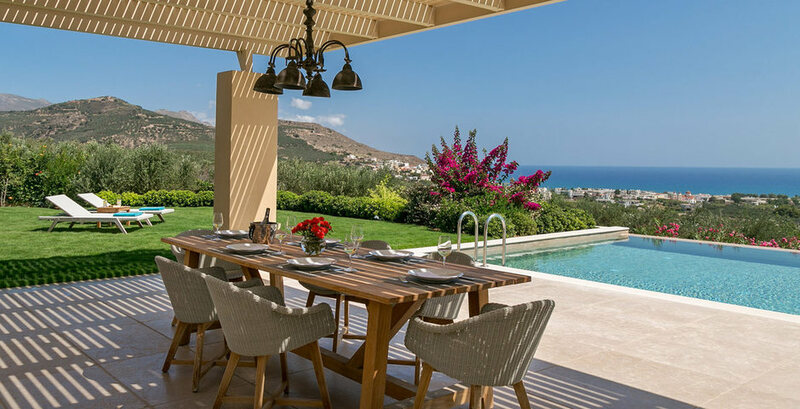 The villa combines state-of-the-art amenities with an elegantly homey atmosphere and features stylish aesthetics throughout: extra high ceilings with exposed wood beams, a soothing neutral color scheme, select touches of contemporary design, ample natural light, private furnished balconies and comfortable patios and two spectacular infinity pools with panoramic views of the mountains, olive groves and sea that encircle the home. 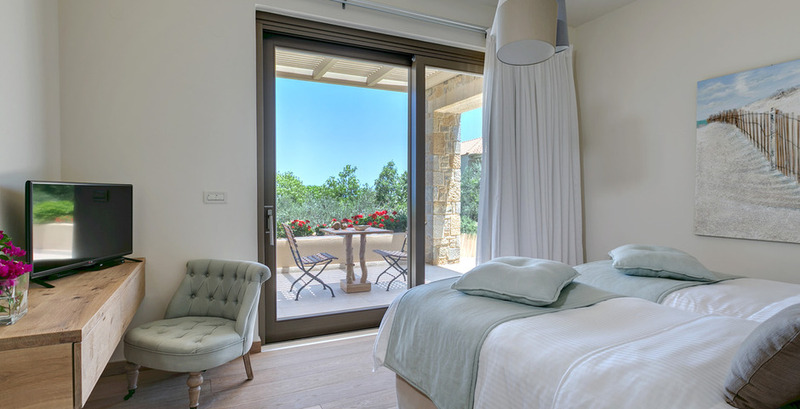 In seamless harmony with the surrounding Cretan countryside, Villa Ianira consists of three bedrooms accommodating up to 6 guests, all outfitted in top-of-the-line COCO-MAT advanced technology “4-layer” bedding and high-quality, high thread count linens; an inviting living room area with plush, oversized sofas and vast bay windows that allow the light and colours from the Mediterranean-style organic gardens and lush lawn to penetrate the home; a stunning designer kitchen by Marchi for true gastronomical feasts; a fully-stocked wine cellar and a personal fitness gym, among other features. 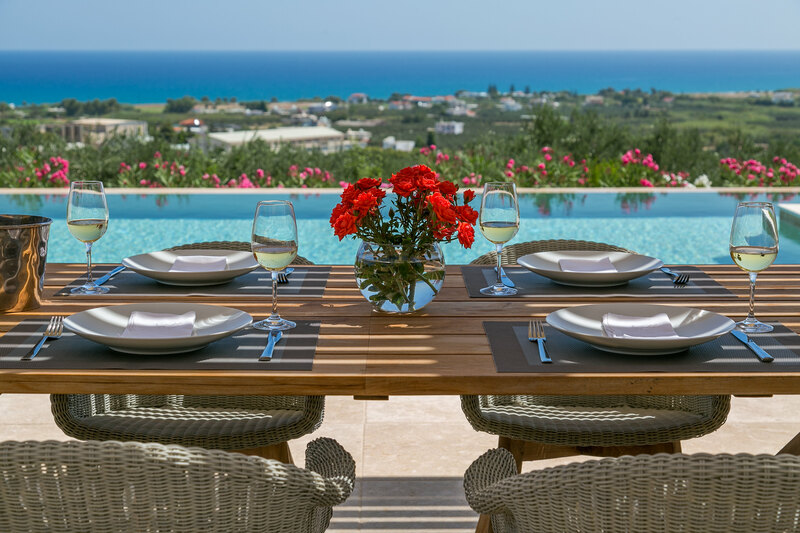 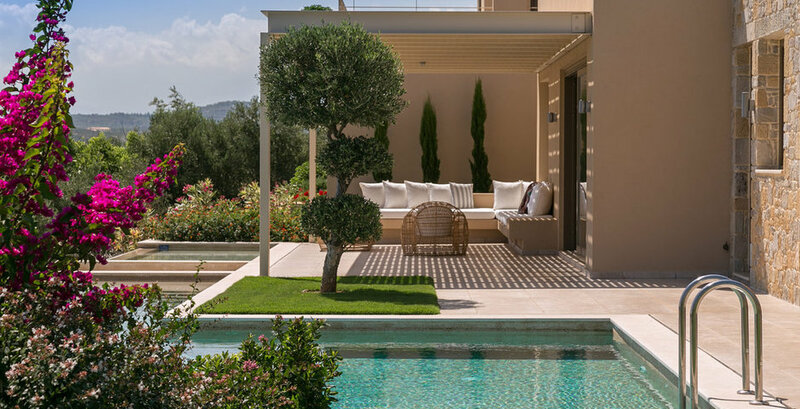 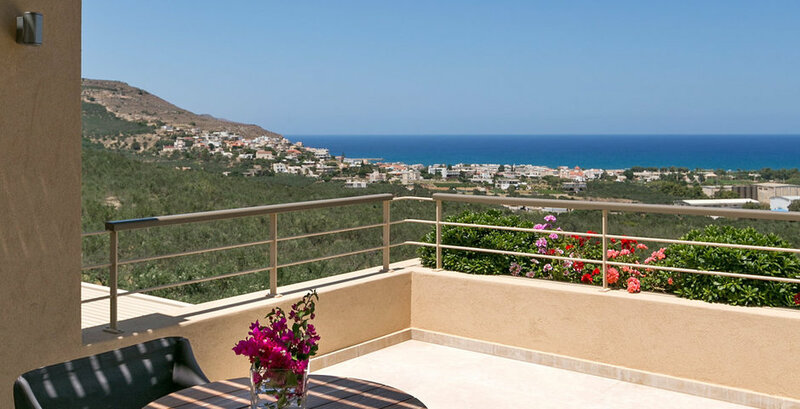 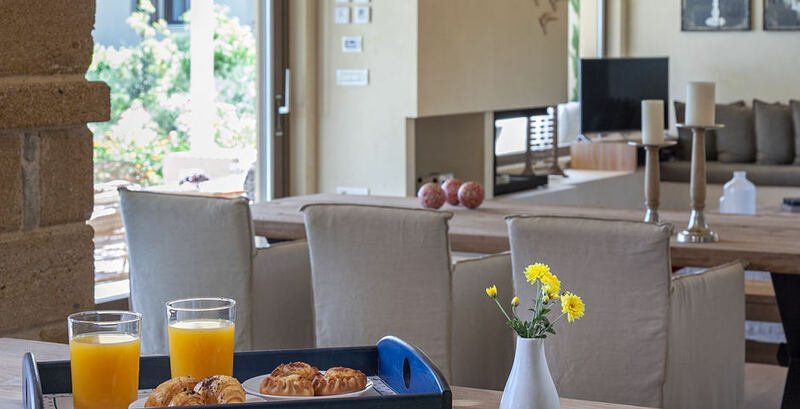 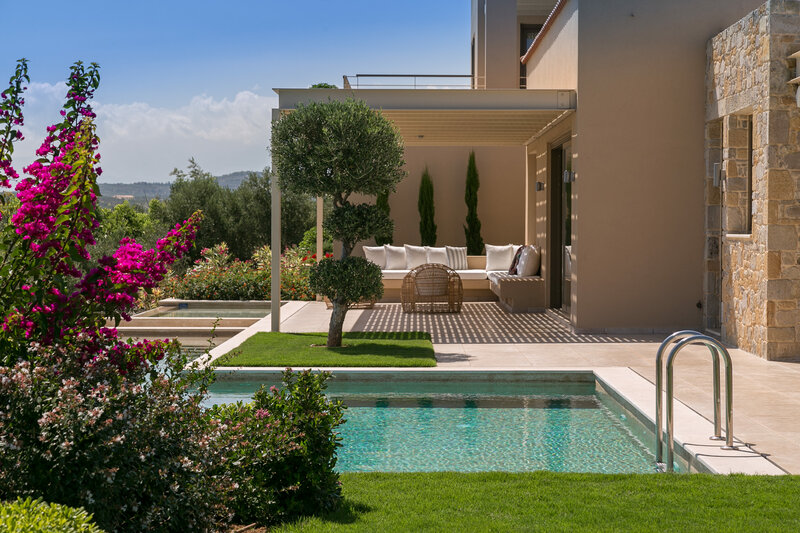 Villa Ianira is for up to 6 guests, accommodated in 3 bedrooms. 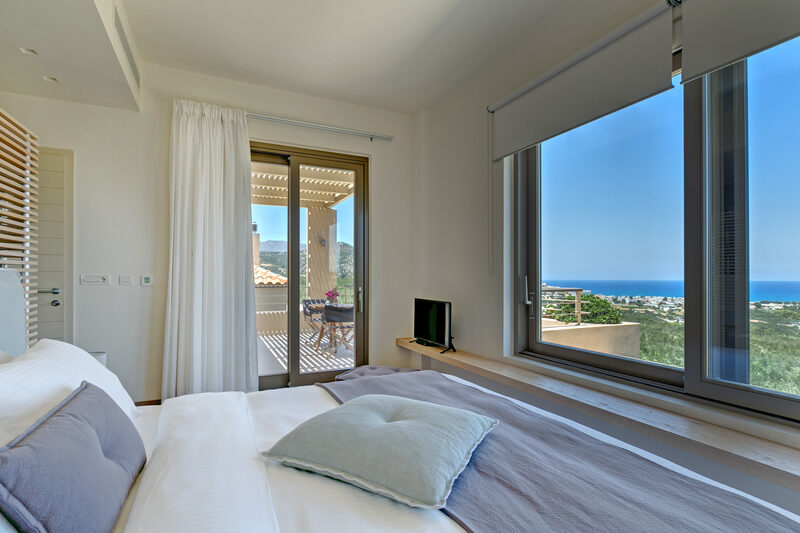 For the usage of the 4th bedroom or for 7-8 guests, there is an additional cost of 100E/night. 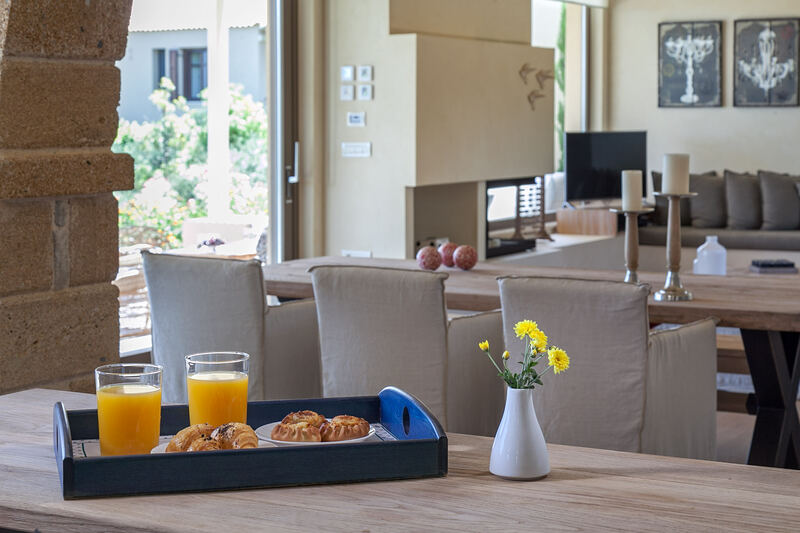 THE ABOVE RATES ARE VALID FOR UP TO 6 GUESTS ACCOMMODATED IN 3 BEDROOMS. 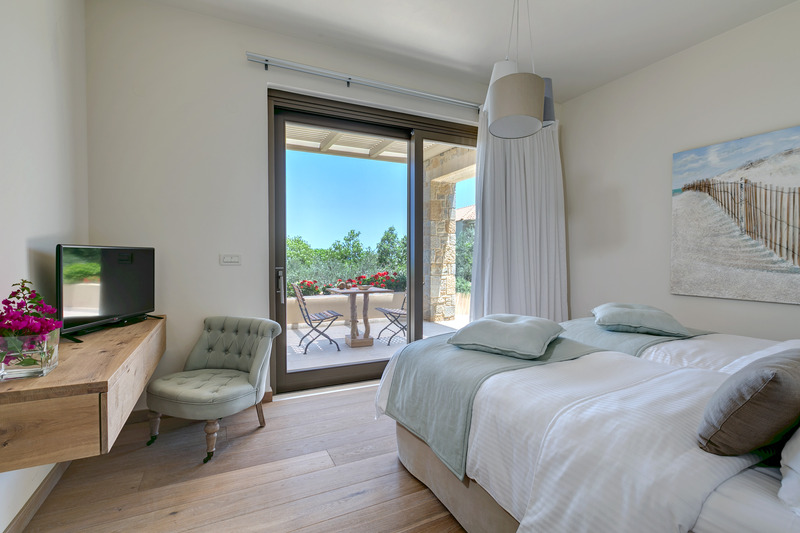 FOR THE USAGE OF THE 4TH BEDROOM OR FOR 7-8 GUESTS THERE IS AN ADDITIONAL CHARGE 100EURO PER NIGHT.
. 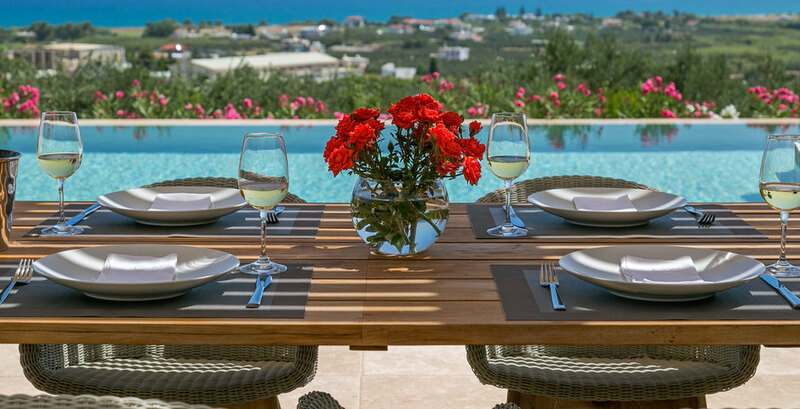 Chef, baby sitting, massage treatments and many other services available on request.